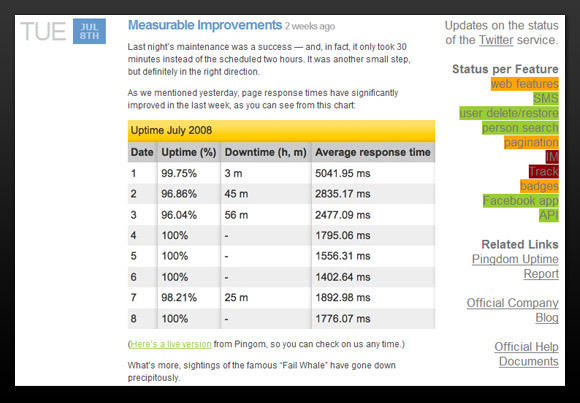 The people over at the popular micro-blogging service Twitter are using Pingdom’s uptime monitoring service to watch over their availability. There is even a permanent link to a public Pingdom report page on the Twitter status blog, so anyone can get an updated view of their Web availability at any time. Above: Screenshot from the Twitter status blog. This is an additional way for Twitter operations to provide transparency, totally in line with their traditional openness about any issues they have had. We think it’s pretty cool that they are using Pingdom to help them out with this.